Most scrapes can successfully be treated at home. How can you tell if it should be treated at home? How a scrape heals depends on the depth, size, and location of the scrape. Following some simple steps and using Dermoplast® can help the body heal. 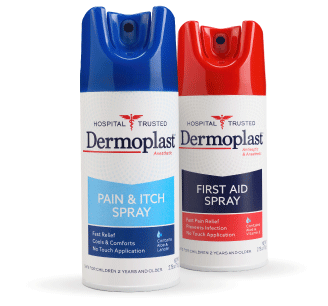 So whether it’s pain relief, or pain relief and preventing infection, Dermoplast products are prepared to comfort. Make sure to see a doctor if you see signs of infection, such as redness, worsening pain, drainage or swelling. 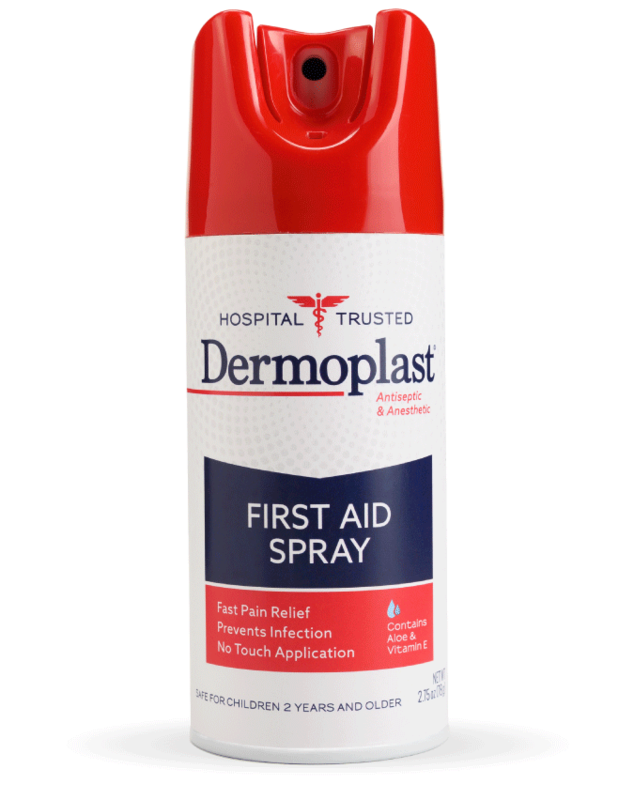 Using Dermoplast provides pain relief, ingredients to keep the skin moisturized, and an antiseptic agent that helps prevent infection. The no-touch application also helps to lessen the pain when treating the wound. If a rash appears, it could be a sign of an allergic reaction. Stop using the ointment or Dermoplast and consult a doctor. Always use as directed. Kaji AH. Wounds. Merck Manual Consumer Version Website. https://www.merckmanuals.com/home/injuries-and-poisoning/first-aid/wounds/. Accessed March 2019. Wound management and tetanus prophylaxis. https://www.cdc.gov/tetanus/clinicians.html. Accessed March 2019. Cuts and scrapes: first aid. Mayo Clinic Web site. https://www.mayoclinic.org/first-aid/first-aid-cuts/basics/art-20056711. Accessed March 2019. Schlesselman LS. Scrapes, cuts and bruises. Pharmacy Times. July 1, 2003. https://www.pharmacytimes.com/publications/issue/2003/2003-07/2003-07-7311. Accessed March 2019. Get your $2 off coupon today! 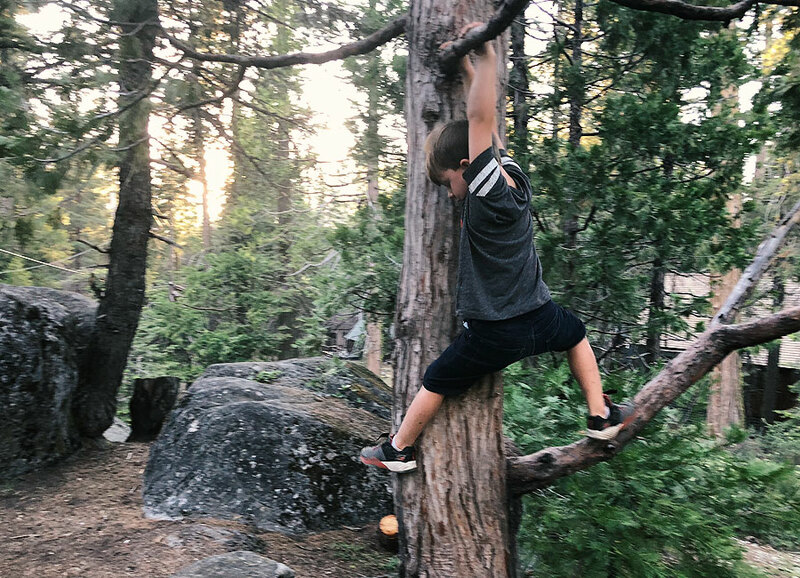 From cuts and scrapes to burns and insect bites, with Dermoplast products, you’re prepared to care for your family. Download your coupon and save $2 today.